In January 2017, Poets & Writers Live offered two days of sound advice, practical information, and inspiration at the San Francisco Institute of Art. This sold out event was a celebration of creativity that included readings, lectures, multimedia presentations, panel discussions, and workshops exploring the literary imagination, innovation on the page, and uncommon sources of inspiration. The seventh Poets & Writers Live event featured readings, lectures, multimedia presentations, panel discussions, workshops, and other interactive performances exploring inspiration. Award-winning authors, editors, and agents joined the editors of Poets & Writers Magazine to present this celebration of creativity at the Blanton Museum of Art at the University of Texas in Austin. The sixth Poets & Writers Live event was held at the Pacific Northwest College of Art's Mediatheque theater on October 17, 2015. 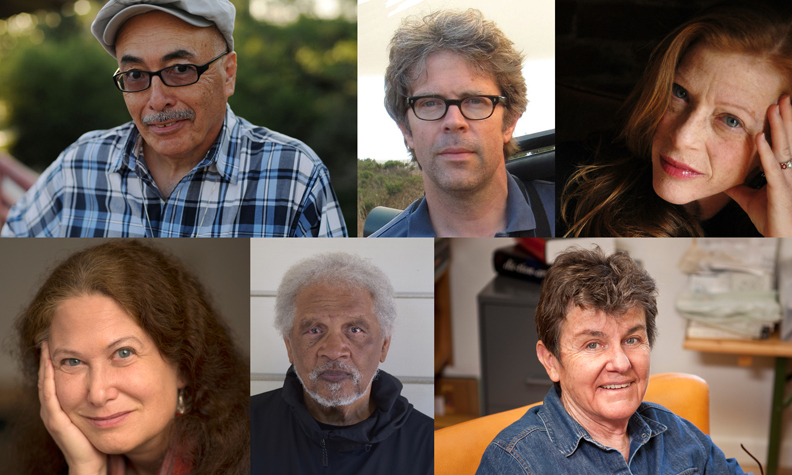 The editors of many of the area's most exciting presses and literary magazines joined the editors of Poets & Writers Magazine to explore the art of writing and the business of independent publishing. The fourth Poets & Writers Live event was held on January 10, 2015, at San Francisco's Brava Theater Center. The program featured a "poetry keynote" by Pulitzer Prize–winner and former U.S. poet laureate Kay Ryan; a conversation with award-winning poets and writers about why we write; a "quarrel" between David Shields and Caleb Powell over the age-old debate of life vs. art; a multigenre, multimedia “inspiration experiment” featuring acclaimed author Joyce Carol Oates; and much more. The third Poets & Writers Live event was held on October 25, 2014, at the Library of Congress and featured panel discussions with authors and editors from innovative independent publishers such as Graywolf Press, Algonquin Books, New Directions, Black Balloon Publishing, Rose Metal Press, Augury Books, and Gival Press, as well as advice about self-publishing opportunities, conversation about resources for writers in Washington, D.C., and a featured reading by award-winning author Charles D'Ambrosio. The inaugural Poets & Writers Live event was held on January 11, 2014, at the literary arts center Beyond Baroque in Los Angeles, and included a talk on publishing, a panel discussion about resources for writers who live in Los Angeles, a conversation about why we write, a featured reading by Dani Shapiro, and a literary mixer where participants shared advice and inspiration.